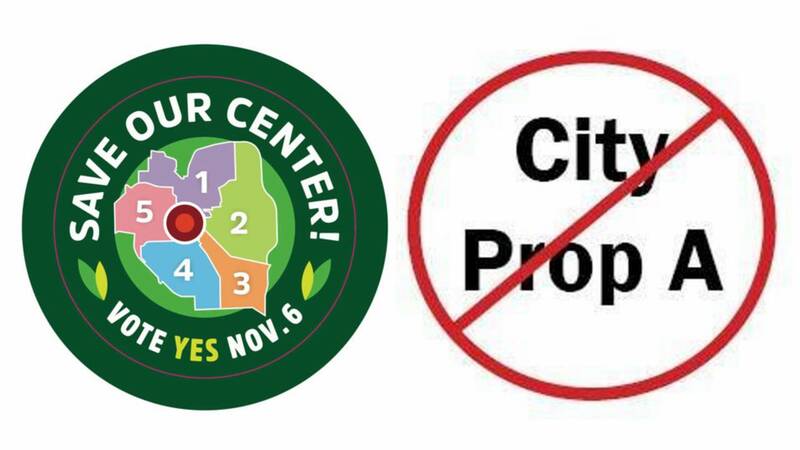 ANN ARBOR - As the Nov. 6 election fast approaches, the debate has been heating up over Ann Arbor's resident-initiated Proposal A, which pushes to amend the Ann Arbor City Charter for the establishment of an urban park at the city-owned site known as the Library Lot. Currently, the Library Lot -- located between Fifth and Division -- houses underground parking. The majority of City Council opposes the urban park proposal and has authorized the sale of the property, to be developed into a 17-story mixed-used space by Chicago-based developer Core Spaces. 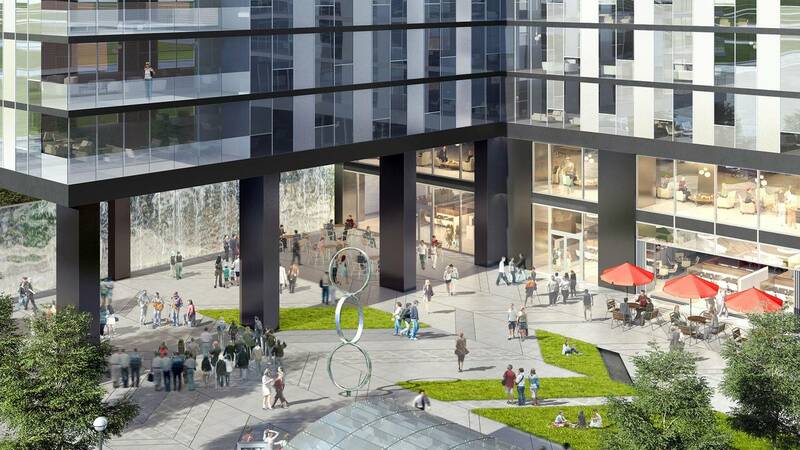 Known as The Collective on 5th, the development would feature a hotel, apartments, office and retail space as well as a 12,000-square-foot public outdoor plaza. In June, city councilmembers Anne Bannister and Sumi Kailasapathy sued the city, Mayor Christopher Taylor and City Clerk Jacqueline Beaudry over the $10 million deal for signing the contract before consulting City Council. The lawsuit is still ongoing. Earlier this year, the Ann Arbor Committee for the Community Commons and the Library Green Conservancy collected enough signatures to put the project on the ballot supporting the need for a "Center of the City" park. As a result, the Ann Arbor Central Park Ballot Committee was formed. The committee describes itself as "a group of residents working to save the public land known as the Library Lot to allow creation of an urban park and civic center next to the downtown branch of the Ann Arbor District Library." On its website, it notes the city's growing downtown population and development projects. Preserve the possibility of a future Civic Center Building with cafes, galleries, etc. In a letter to Mayor Taylor, an opponent of Prop A, the group notes the city's growing downtown population and development projects, saying, "Ann Arbor’s economic survival doesn't hinge on the projected revenue from any one development." Read the committee's letter here. In September, a new lobby emerged in opposition to the proposal called Voters for a Responsible Ann Arbor. Under the tagline "Everyone loses with city Prop A," it supports the development of The Collective on 5th. 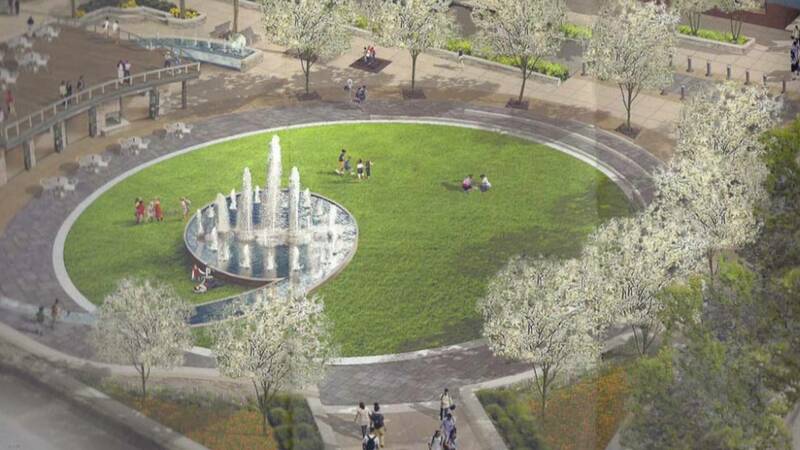 According to the group, the city risks diverting millions of taxpayer dollars to the unfunded "Center of the City" park. They argue that the responsible choice is to allow Core Spaces to privately develop the site. Core Spaces recently pledged $100,000 toward programming at the proposed development's public plaza. This is in addition to its annual $25,000 in programming funding. Another piece of the "Vote No" campaign is affordable housing. The city of Ann Arbor has agreed to put an estimated $5 million from the sale of the property into the city's Affordable Housing Fund to expand affordable housing projects. Because of this, the nonprofit coalition the Washtenaw Housing Alliance opposes Prop A. Proposal A: Charter Amendment for the City-Owned Public Land Bounded by Fifth Avenue, and William, Division, and Liberty Streets to be Designated, in Perpetuity, as an Urban Park and Civic Center Commons to be Known as the "Center of the City," by Amending the Ann Arbor City Charter Adding a New Section 1.4 to Chapter 1 of the Charter. Shall the City-owned public land bounded by Fifth Ave, and William, Division and Liberty Streets be retained in public ownership, in perpetuity, and developed as an urban park and civic center commons, known as the “Center of the City” by adding a new section for the purpose as explained above?